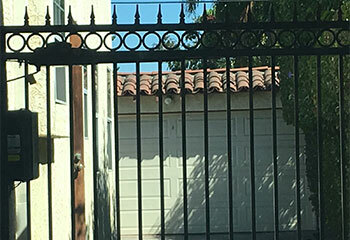 We solve various problems with automatic gates, from worn hinges to faulty motors, and install new ones for our customers. Below you will find a selection of our latest projects giving you a better idea of our work. Customer Issue: The sliding gate traveled a few inches and then stopped. Our Solution: Since the motor was working normally, we inspected the hardware and revealed the track was bent. We straightened it, so that the wheels could pass freely. 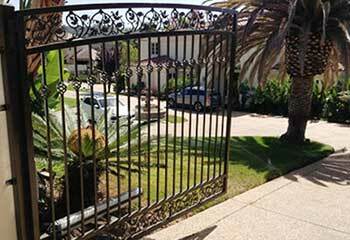 Customer Issue: Ms. Mitchell had her mind set on a steel swing gate with a bell curve design and black powder coat finish. Our Solution: Our measurements confirmed that a 12-foot gate would be a perfect fit. 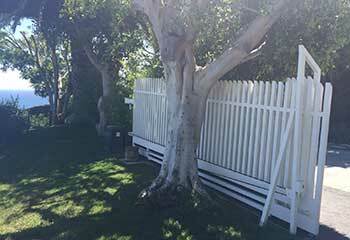 We installed it, securing the posts and using heavy-duty hinges. 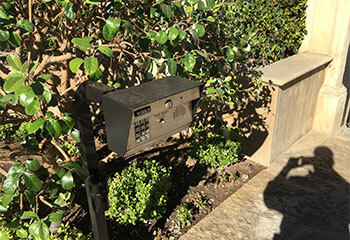 Customer Issue: Mr. Brown wanted a reliable sliding gate opener from a reputable brand. Our Solution: Based on our advice, the customer chose a DKS 9024 opener. We installed the motor unit, added the hardware and connected it to the gate. The programming of the controls took little time. Customer Issue: The gate would not close with the remote control. Our Solution: Our close inspection and testing revealed that the sliding gate safety sensors had failed, so we replaced them with a new FAAC 785152 set and cleared the area around them a bit to prevent blocking. 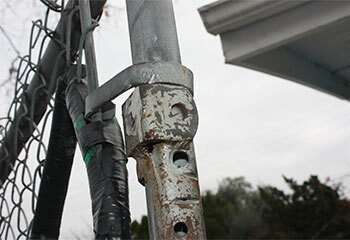 Customer Issue: The swing gate’s panels were uneven and were making strange noises during opening and closing. Our Solution: We inspected the gate and found that the hinges were damaged. After repairing the welding, we tightened the bolts and applied grease for smooth performance.